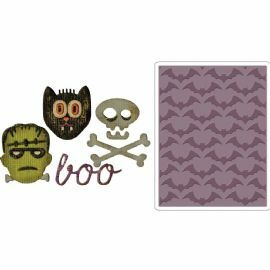 Set of 4 mini dies + matching mini texture fades embossing folder. Want a Side-Order to go along with your Sidekick? You’ve come to the right place! Inspired by artistry of Tim Holtz, this product bundle was designed to support the Tim Holtz Edition of the Sizzix Sidekick Machine.